Work has been keeping me very busy lately so I haven't had a chance to work on the blog. Today I finally had some time on my hands(!) so here's a quick look at a couple of watch advertisements. 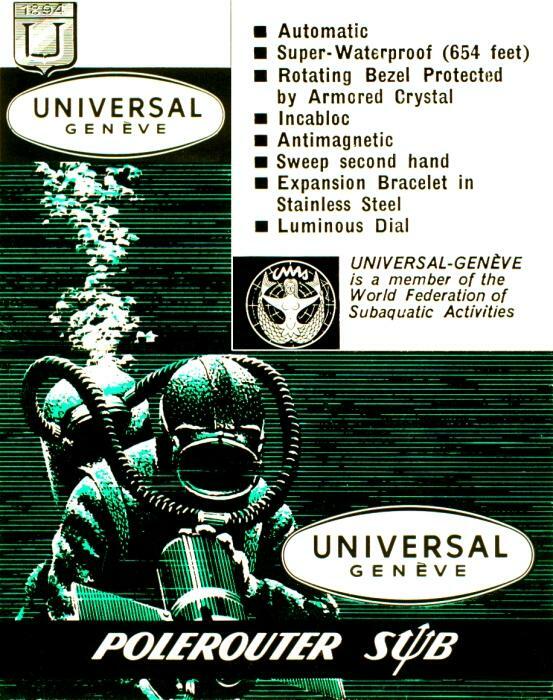 For some reason, Universal-Genève decided not to show the actual watch in this ad! 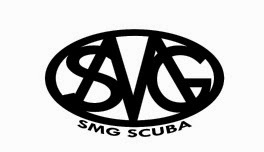 The artist obviously had some knowledge of dive gear as he's drawn the exhaust bubbles coming from the right place. 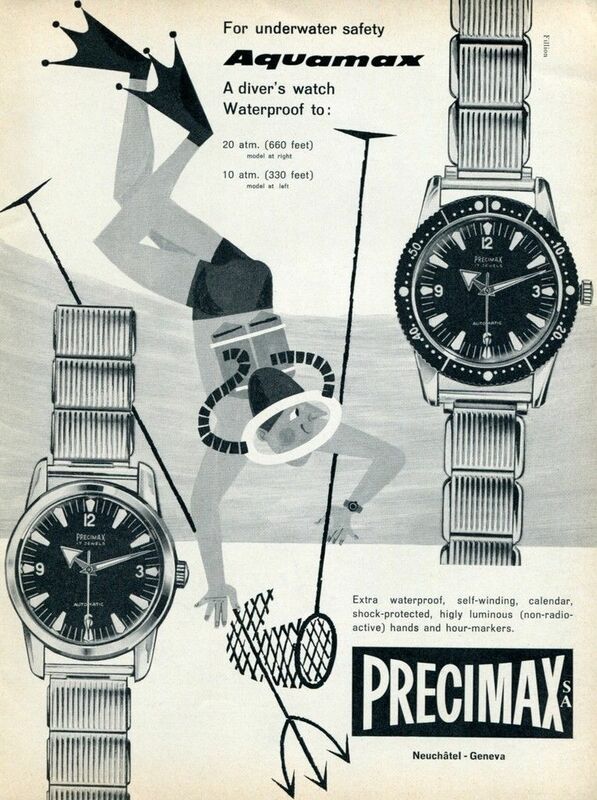 This Aquamax ad features a typically happy cartoon diver but the artist doesn't seem quite as knowledgeable about how scuba equipment actually works! 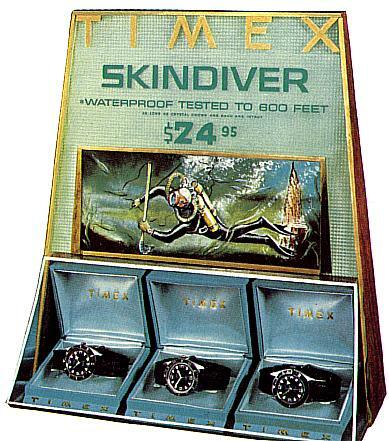 And here's a display stand for the Timex Skindiver watch which features a nice piece of artwork. Unfortunately I couldn't find a bigger picture of it.